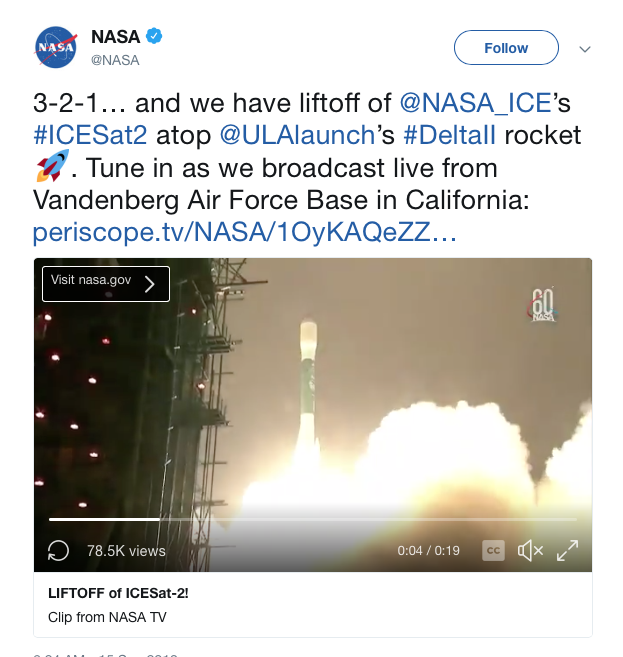 After several delays, the United Launch Alliance’s (ULA) Delta II rocket was launched for the final time carrying NASA’s weather satellite, ICESat-2. 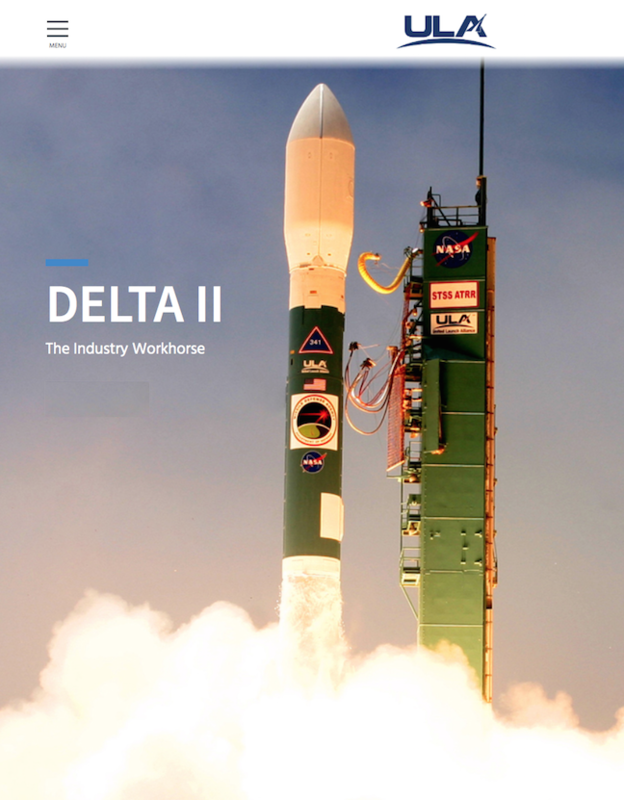 This is the end of an era for the Delta II rocket that was first launched on February 14, 1989. NASA’s satellite, ICESat-2, with its single instrument — the Advanced Topographic Laser Altimeter System (ATLAS), manufactured by Northrop Grumman) — will provide scientists with height measurements to create a global portrait of Earth’s third dimension, gathering data that can precisely track changes of terrain including glaciers, sea ice, forests and more. In addition to ICESat-2, this mission includes four cubesats that will launch from dispensers mounted to the Delta II’s second stage. This mission was launched aboard a Delta II 7420-10 configured rocket, which includes a 10 foot in diameter payload fairing (PLF). The booster for this mission is the Aerojet Rocketdyne RS-27A engine — the second stage is powered by that company’s AJ10-118K engine. To date, ULA has a track record of 100 percent mission success with 129 successful launches. With more than a century of combined heritage, United Launch Alliance is the nation’s most experienced and reliable launch service provider. ULA has successfully delivered more than 125 satellites to orbit that aid meteorologists in tracking severe weather, unlock the mysteries of the solar system, provide critical capabilities for troops in the field and enable personal device-based GPS navigation. 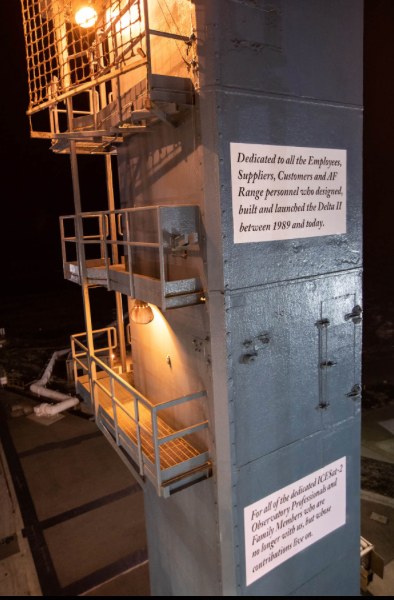 United Launch Alliance (ULA) also revealed that the last Delta II rocket will join a lineup of historic rockets in the Rocket Garden on display at NASA’s Kennedy Space Center Visitor Complex at Cape Canaveral, Florida. The maiden Delta II flight occurred on Valentine’s Day in 1989 and successfully delivered the first operational GPS satellite to orbit. Since that first launch, Delta II rockets have launched 154 successful missions. Its resume includes several trips to Mars as well as the planet-hunting Kepler, the twin lunar-orbiting GRAIL spacecraft, 48 GPS satellites and numerous commercial imaging and communications satellites.